In 1845 Henry David Thoreau left his pencil-manufacturing business and began building a cabin on the shore of Walden Pond near Concord, Massachusetts. This lyrical yet practical-minded book is at once the record of the 26 months Thoreau spent in withdrawal from society-an account of the daily details of building, planting, hunting, cooking, and always, observing nature-and a declaration of independence from the oppressive mores and spiritual sterility of the world he left behind. 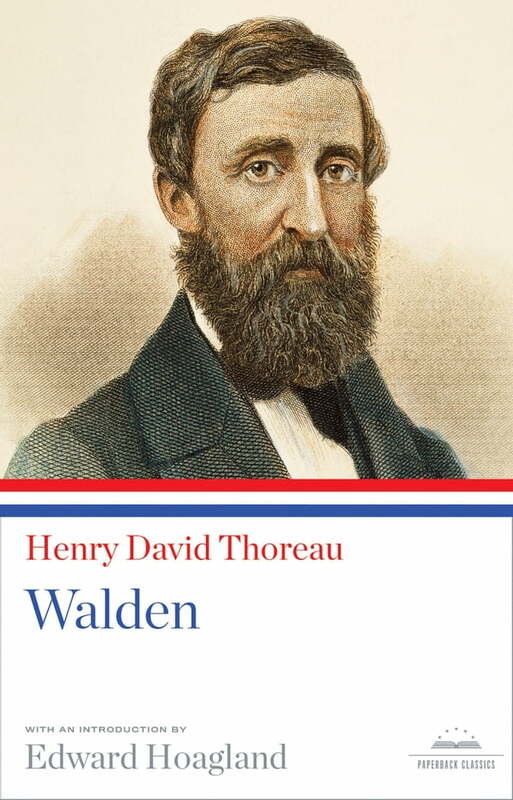 Elegant, funny, profound, and quietly searching, Walden remains the most persuasive American argument for simplicity of life and clarity of conscience. The contents of this Paperback Classic are drawn from Henry David Thoreau: A Week, Walden, The Maine Woods, Cape Cod, volume number 28 in the Library of America series. That volume is joined in the series by a companion volume, number 124, Henry David Thoreau: Collected Essays and Poems.